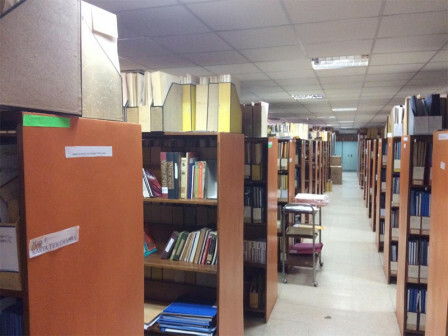 Jakarta Library and Archive Department (Dispusip) plans to add 5,000 literary books contain of 1,000 titles in HB Jassin Literary Documentation Center (PDS), Taman Ismail Marzuki (TIM), Cikini, Menteng, Central Jakarta.
" Besides old books from Balai Pustaka publisher, we also want to provide new books from other publishers"
Jakarta Dispusip's Deposits, Collection Development, Services and Conservation Division Head, Jeje Nurjaman stated, his side not only adds newly published books into the collection, but also old published books with popular titles and authors. "Besides old books from Balai Pustaka publisher, we also want to provide new books from other publishers," he explained, Wednesday (1/30). According to him, HB Jassin PDS has limited book collections before its management is handed over to Jakarta Government. "HB Jassin was formerly a foundation with old book collections and didn't renew the collection with new literary books," he mentioned. HB Jassin PDS Unit Head, Diki Lukman Hakim conveyed, librarians are still listing and selecting literary books that will be added for book collection in HB Jassin PDS since middle of January 2019. His side allocates budget about Rp 200 million to add 5,000 literary books and targets to realize it in May 2019. "Our target is to provide those books in May. While for shipping and payment should be done in June," he said.